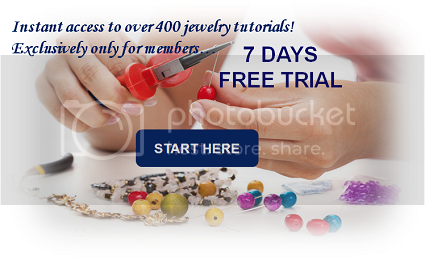 DIY Jewelry Making continues with its 7-DAY FREE ACCESS TO 400 JEWELRY PATTERNS! Consider this a 7-day GIVEAWAY because you’ll learn beading, wirework, chainmaille, soutache’, macrame’ and a lot more and make jewelry for free! With the 7-day free access, you’ll be a GOLD MEMBER. 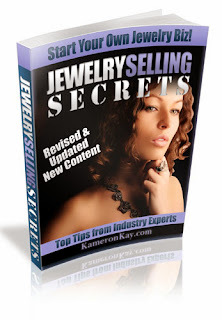 Under Gold Membership you can have INSTANT UNLIMITED ACCESS to DIY Beading Club Monthly Lesson Plans and DIY Jewelry Making Magazines with a total of over 400 jewelry patterns. Here’s some of what you can learn with the 7-day free access! Then dive into this month’s jewelry tutorials of amazing necklaces that you can make for yourself and also make them as gifts to show them off!! For in this issue of DIY Jewelry Making Magazine, we have stunning rings for you to learn and create for yourself! Do you hear that? Do you hear the jingly jangle of bracelets clinking against each other? Sounds of bangles, or cuffs, or bracelets are like music to our ears! 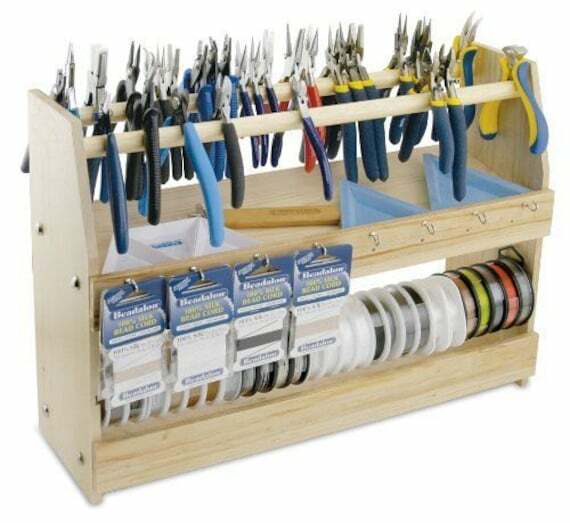 When making wire jewelry you don’t need a lot of materials because only wire is the main material, but having the right tools is essential to make wire jewelry a fun experience. We are truly amazed by the flexibility of wires that can be handcrafted into metal jewelry! In this month’s issue, we bring to you tutorials that will aid your craving for learning wire jewelry! We bring you an array of beautiful bracelet tutorials for you in this month’s issue of DIY Jewelry Making Magazine! With these tutorials from DIY Jewelry Making Magazine, you will have your very own handmade bridal jewelry for either your own wedding or for your family members, relatives or friends! Have an exciting time with these bridal jewelry tutorials! In this month’s issue of DIY Jewelry Making Magazine, we have 8 tutorials which are simple and quick so that you can have something new to whip up in a short amount of time for yourself! Come on in and let us have some fun! Show your love to your loved ones by gifting them gifts of love and surprising them with wonderful gifts! And what more can you give than a heartfelt jewelry piece put together by your very own hands? In this issue, we bring you red jewelry and heart shaped jewelry for Valentine’s gifts! In this month’s issue of DIY Jewelry Magazine, we present to you jewelry tutorials using two holed beads. Two holed beads can be used in many designs, and here, you can learn just how to use them and make jewelry which can be worn or be made into gifts! From jewelry to ornaments for your Christmas tree! Come and learn to make these beautiful Christmas themed items and be a proud owner of beautiful Christmas jewelry and a well-decorated home! In this issue, we present to you the theme of a touch of black in jewelry. We will show to you how the color black adds that little something to our daily lives. We bring you elegant designs in black for you. We all know that the color black holds a mysterious power. CLICK HERE TO SEE THE GALLERY OF JEWELRY PATTERNS!